Slip into darkness with 11 action-packed YA fantasy and paranormal novels. 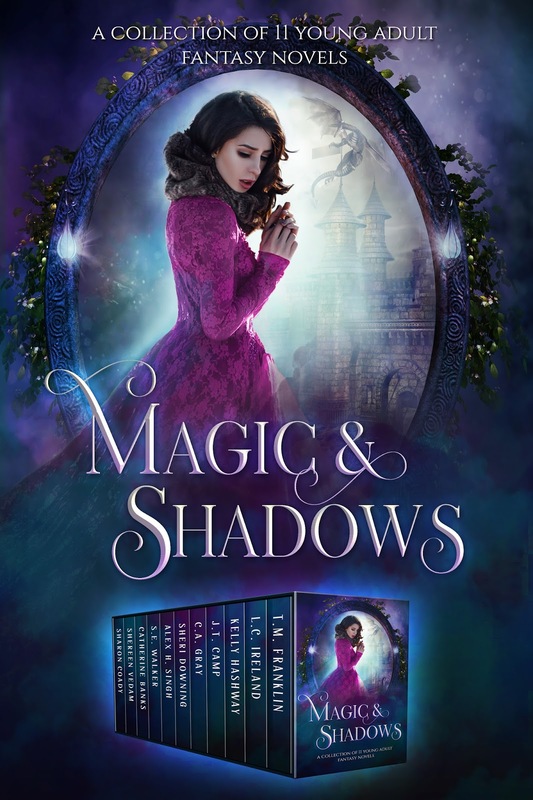 This collection has something for every lover of the mystical and mysteriousâfrom dragons, demons, witches and vampires, to shifters, mages, and magically evolved humansâeven gods from Norse and Greek mythology. If you love romance and adventure with a supernatural twist, donât miss this otherworldly collection from ELEVEN bestselling and debut young adult authorsâonly available for a LIMITED TIME. Haunted by terrifying nightmares and certain sheâs being watched, college student Ava Michaels finds an unlikely ally in physics tutor Caleb Foster. But Caleb isnât quite what he seems. In fact, he's not entirely human, and he's not the only one. Together, the duo faces a threat from an ancient race bent on Avaâs capture, and possible extinction. As Ava fights to survive, she learns the worldâs not what she thought. Deltaâs family has been cursed. To save them, she makes a deal with the Horrid Witch. If she wishes to break the curse, she must kill an innocent woman. Delta will have to choose between saving her life ... and saving her soul. Ella Andrews and her best friend, Avery, travel to the world of Stellaris, where they wind up in a battle against the mythological creatures Draco, Serpens, and Scorpius. Theyâll have to stop the rogue constellations before Stellaris drains the life out of them and turns them into shadows forever. Fallon has one more chance to prove she belongs in Hallowridge. Warren, Grainger, and Abraham are there to make sure she doesnât. However, when plans go sideways, can Fallon step up to the plate, or will she continue to run? There was a bigger message behind the scourge that affected any living thing. Iâm part of an ancient prophecy that involves the oldest battle to ever exist. Good versus evil. A Queen on the run for her lifeâ¦. A Stepdaughter with no mercyâ¦. Alys knows her presence is throwing the balance in Asgard off-kilter. She moves to Earth, but the transition is not smooth. Soon she realizes her adopted father lied to her, and with all she thought she knew stripped away, it's time to uncover the truth about who she really is. Seventeen-year-old Elizabeth believes in magic. A book about vampires intrigues her into researching the stories. When a stranger contacts her about her haunting dreams sheâs thrown into a world where vampires and magic exist along with an all out war against humans. The ground vibrated and then the noise stopped. I opened my eyes to find Stevens standing with the remote in his hand. He had changed into another set of weird clothes, but at least they were more normal looking than his other set. He had on a pair of blue pants and a shirt that matched the color of his eyes, turquoise. I was excited that I could remember the names of the items and colors, but I didnât say anything out loud to him. Now that I saw him closer, he was very handsome. âYou okay?â he asked me.